They Work For You – he Government has made it clear that the UK intends to leave the EU with a deal and not take part in the European Parliamentary Elections (EPE) in May if possible, however, all the necessary preparations will be made for the election to take place on 23 May. BBC News – The UK’s political parties are gearing up to fight elections to the European Parliament in six weeks’ time. They Work For You – The Government has made it clear that the UK intends to leave the EU with a deal and not take part in the European Parliamentary Elections (EPE) in May. BBC News – If the UK was to request, or be offered, a lengthy extension of its membership of the European Union (EU), would there be an obligation to take part in May’s European elections? Brandon Lewis, Minister without Portfolio , Party Chair, Conservative Party Further to that point of order, Mr Speaker. I will not keep the House long. I only want to say that the Government have not asked anyone to start contingency planning for the European Parliament elections. That is our position in public and in private. The Guardian: Election regulators are actively making contingency plans for the possibility of taking part in European elections in May if Brexit is delayed beyond that point, it has emerged. 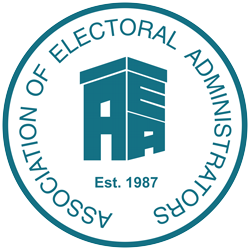 They Work For You – To ask the Minister for the Cabinet Office, whether the European Parliamentary Elections Regulations 2004 as amended by the European Parliamentary Elections (Amendment) Regulations 2009 remain in force.